The Florida lease negotiation attorneys at KALIS, KLEIMAN & WOLFE regularly conduct lease negotiations between landlords and commercial tenants. Our goal is to avoid potential future problems and to make sure our client’s interests are preserved and documented in the lease agreement. It is important to know what you are signing to protect your rights and to know your responsibilities. 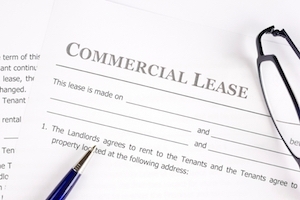 Our attorneys are often asked to help draft, review, and negotiate commercial and residential leases and rental agreements. We are also asked to assist either the landlord or the tenant with matters involving clarification of lease terms, evictions, unlawful detainer, breach of lease, failure to make repairs, and other commercial and landlord/tenant disputes. It is important that leases details clearly cover all the important aspects of the rental agreement to avoid further disputes and possible litigation. We represent both landlords and tenants in leases involving all types of property including residential, retail, commercial, shopping centers and malls, warehouses and more. It is important to hire an experienced law firm as there are no one size fits all lease contracts. Lease negotiations and the final lease agreement should be based on the client’s needs and specific requirements. If you need an advocate to protect your rights regarding a real estate contract or lease agreement, contact the experienced Lease Negotiation Attorneys at KALIS, KLEIMAN & WOLFE, the South Florida-based law firm today at (954) 791-0477.